As a member of the Federal Deposit Insurance Corporation, Revere Bank insures all deposit accounts up to $250,000 per account holder. If you own deposit accounts in different ownership categories, you may qualify for more than $250,000 in coverage. In addition, federal law provides up to $250,000 in deposit insurance coverage for self-directed retirement accounts, such as Individual Retirement Accounts (IRAs). 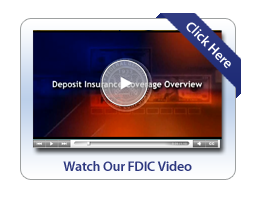 You can visit the FDIC’s website for additional information: http://www.fdic.gov/deposit/index.htm.